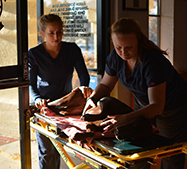 Our team of veterinary professionals are always available for Emergency Services. 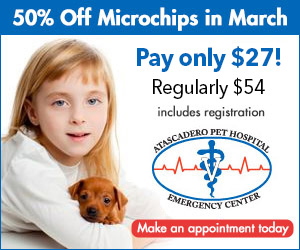 With our fully equipped hospital and surgical center we are able to care for critically ill and injured pets. Imagine this… you’re out to dinner, you come home and find Sally, your Labrador Retriever, chewing on a box of Decon (rat poison). What do you do? Where do you go? It’s 10:00 at night. Your veterinarian’s office is closed. We treat over 2000 emergency cases every year. Our team of highly skilled and compassionate veterinary professionals will care for your pet 24 hours a day, seven days a week using the highest level of medical care. This allows us to care for critically ill and injured patients while their veterinarian are unavailable. Once stabilized, we will work with your primary veterinarian to determine further care and possible transfer of the patient.